According to the Alzheimer’s Association, Americans will spend $259 billion caring for those with Alzheimer’s. We need to better understand how Alzheimer’s unfolds. The brain is a complicated organ. Because it’s so difficult to study while patients are alive, we know very little about how it ages normally and how Alzheimer’s disrupts that process. Our understanding of what happens in the brain is based largely on autopsies, which show only the late stages of the disease and don’t explain many of its lingering mysteries. For example, we don’t fully understand why you are more likely to get Alzheimer’s if you’re African American or Latinothan if you’re white. If we’re going to make progress, we need a better grasp on its underlying causes and biology. 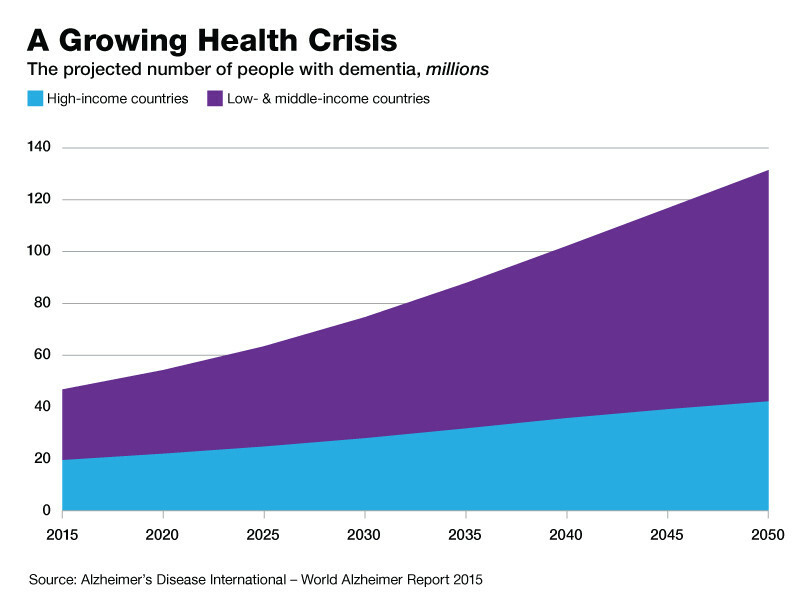 We need more approaches to stopping the disease.There are many ways an Alzheimer’s drug might help prevent or slow down the disease. Most drug trials to date have targeted amyloid and tau, two proteins that cause plaques and tangles in the brain. I hope those approaches succeed, but we need to back scientists with different, less mainstream ideas in case they don’t. A more diverse drug pipeline increases our odds of discovering a breakthrough.